Lets be honest here, Facebook help you remember your friends Birthday, everyday, you check out the right column to see whose birthday it is and then wish them. Imagine if Facebook has to remove that module, you would either have to store your friends Birthday on your Phone calendar or do a trick of some sort to remember each ones Birthday, don’t worry Facebook is not doing it, rather it is taking the Birthday experience to the new level. 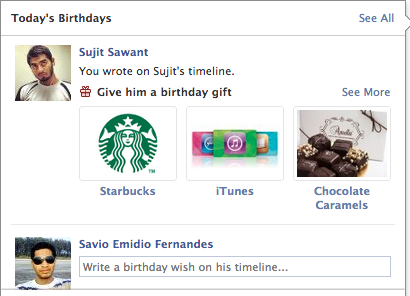 Facebook has started asking users to send Starbucks/iTunes Gift cards and other gifts to their friends on their Birthday, right from inside Facebook. This is what you see when you wish someone on their birthday, for now, it’s US/Canada only. All you do is select the gift card and pay! You friend receives it Gift and use it. 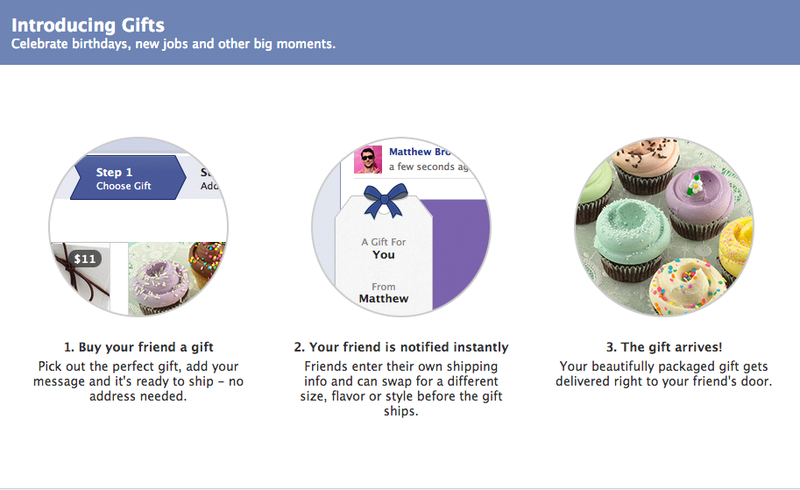 Simple yet effective, Good on Facebook to take gifting to the new level. 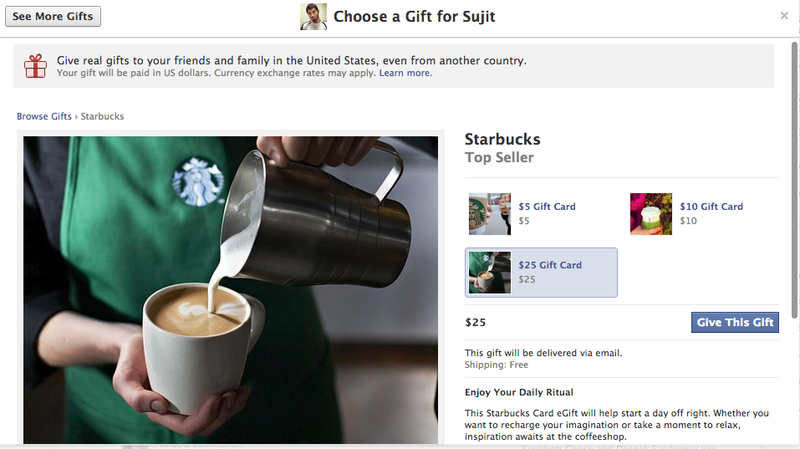 Also a chance for retailers to sell their products via Facebook. What more? Additional affiliate sales commission for Facebook. This entry was posted in Facebook, Internet Services, Social Media Marketing and tagged Send Starbucks/iTunes Gift Cards and more directly to your Friend on his birthday via Facebook. Bookmark the permalink.